The most natural time to ween a baby isn’t a typical dental topic, but when the research involved the study of teeth, it is at least an interesting side note on the way teeth grow. The study presented in this article relates the results found by U.S. and Australian researchers and reported in the journal Nature. They developed a technique to use fossil teeth to calculate when a Neanderthal baby was weaned. Monkey teeth were used in the initial phase of the research to determine how to use tooth growth patterns to spot when weening occurs. 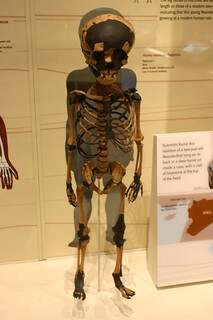 They found that modern mothers ween their babies at about the same time as Neanderthal mothers did!